I really like this quote, it has nothing to do with this post, but wellz. Okay, back to the real content. So if you follow my Instagram, you’ll see a lot of “give to the poor” posts and, recently, a lot of “be human, not a tool” posts, and I want to combine to two ideas and talk about the ‘How’ part in Charity. So when I talk about giving to the poor, it’s not entirely accurate. It’s a small step, but the Biblical standard is higher, in a way you would not expect (the clue is in the image above). If that smells like Communism, well, on first glance, it does to me too, but it’s not. So TLDR: Don’t give, lend. Lend, because then your Charity is actually personal. You don’t just hand over money, as if you pity someone less fortunate than you, and walk away to never see him again. No, you lend him and expect him to pay you back, like an equal. Give the poor man his dignity, and make sure to check on him when he tries to pay you back. When he is homeless, let him stay in your home, like a stranger or a sojourner. That is the Biblical standard. If by the Shemitah (7th) year, he cannot pay you back, then the debt is forgiven him. Bring it back to Acts 4 and you see the early Church actually living this out; aggressively lending money to anyone who needed it and taking in all the homeless. It’s the radical, radical, radical Charity that Jesus demanded of his people since the begining of time. You see why I think keeping to ‘Give to the Poor’ on Instagram is enough, it is nothing compared to the expectation places on Christians. Sad thing is that most of us didn’t grow up with that example shown to us, we didn’t grow up with homeless people sleeping on our living room floor or the old and lonely neighbour staying the night, while our parents were lending them money; so to us, that seems extreme, but to God, it’s normal. Think about it. I think this mindset of giving rather than lending goes deep. We like to say “My parents give me pocket money”, like wut? No they don’t. If you have been to as many old folks homes and old people churches as I have, you would know how blatantly wrong that idea is. Giving pocket money, implies that parents don’t expect their children to give them pocket money when they are old. No, your parents ‘lend’ you pocket money. As a parent, you jolly well use the word ‘lend’, because to assume that you are better off than your pitiful children and so they have to rely on you is just wrong. It may be that way for now, but when you grow old, they will take care of you. You must have the humility enough to see that the little baby you hold in your arms is no better off than you in the grand scheme of things, and you better better better parent them with utmost caution, showing respect to the power they will one day have over you. To think that you can actually just give money to your children is pure arrogance. Well what about savings then? What if parents don’t need their children’s money. Well, most children after the age of 10 don’t technically need their parent’s money, they could in theory work on their own, and throughout a lot of history, child labour was the default. It doesn’t change anything. Returning your parents money is about values. To Christians, it is about sacrifice, showing your parents that you have fully internalised Christian values when you go out of your way to inconvenience yourself, go out of your way to travel to them, hand them the money, and spend all that time on them, even if you have better things to do. For Muslimin, it shows that you understand cooperation with society and will prioritise the its most basic unit, the family, and safeguard its legacy. For Buddhists, it shows you understand what your parents went through when they raised you, and that you took that experience with you into adulthood. And let’s face it, to God, for God, you will not treat the poor better than you treat your parents, and if you do, there is still something wrong with that. When children return money to parents, it is a multigenerational symbol of our ancestral values being successfully passed down, a reaffirmation of their parental success, and a consistant opportunity to celebrate that together. Idk, there is not much to discuss in this topic, it’s really quite simple. 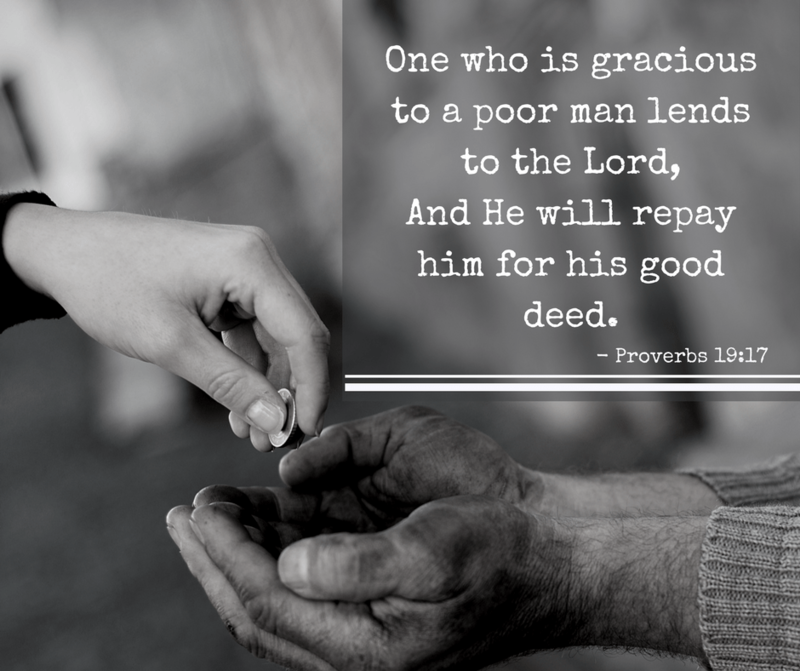 Giving to the poor means that you look down on them and that you don’t want to follow up with them. Giving to children means that you look down on them and treat yourself as the superior. Both dehumanise the persons that are receiving, because it becomes quick power play; a one time action and not the start of a long term relationship. We lend out of the respect we have for others, fully expecting that they can and will repay us; we may not expect them to return every dollar, but we expect them to want to do so, and work to do so, and in doing so, keep their self respect. It is the foundation of relationship. Yea, I’ve run out of things to say, nites fam. Next Next post: Link: The Underprivileged Get Free Meals From Soup Kitchens, But How’s The Food?